Continuous survey and tuning helps keep HVAC systems running at peak efficiency. 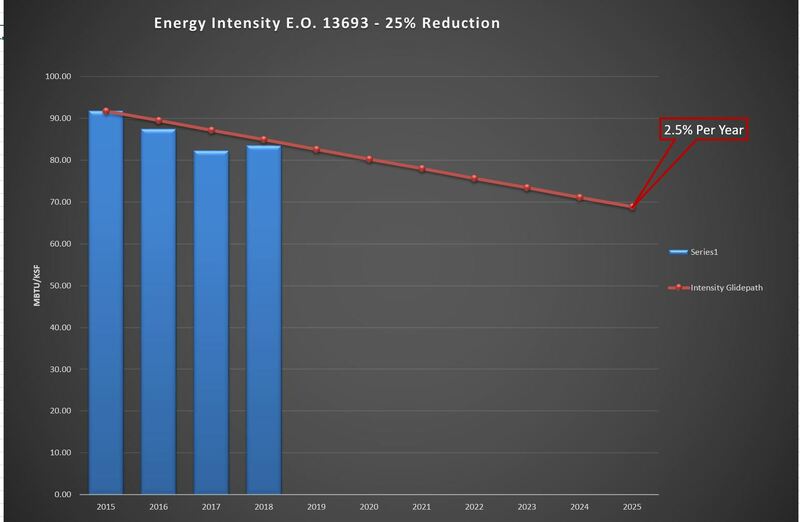 Installation of LED lighting conversions at many locations that include athletics fields, street and parking lot lights, aircraft hangars at many fields, have reduced lighting electrical loads significantly and will save in maintenance costs due to the longevity of LED lighting systems. Addition of HVAC equipment in B4509 that will enhance the comfort and even the distribution of heated or cooled air to help avoid excessive hot and cold areas and save energy. Most all exterior lighting is now LED. Pricing has dropped on interior LED fixtures to the point that conversions to LED are affordable and will have payback. Projects will be in development for these conversions soon. 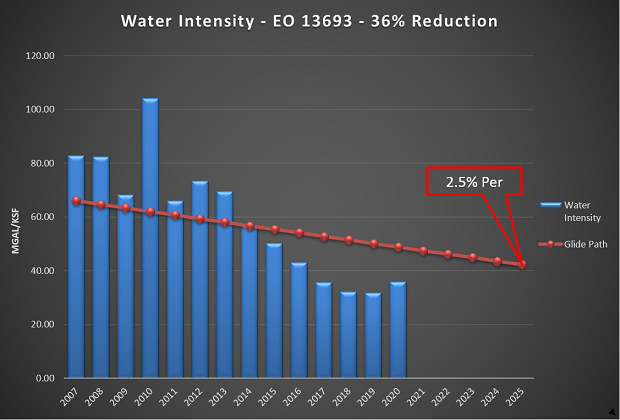 Water intensity has had a steady reduction over the last several years. New projects to conserve our resources and taxpayer dollars, are constantly being researched and developed for return on investment. More efficient use of electricity and water will provide continuous benefits for the Army and all Americans. Please conserve.